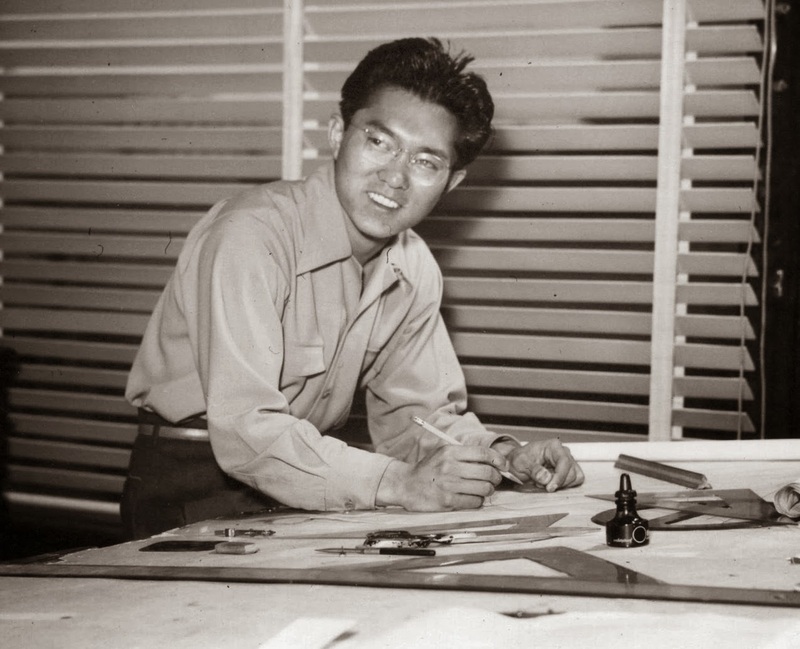 Iwao Takamoto was an outstanding draughtsman and designer, who worked in the animation industry for decades. This photo shows him in 1945, when he just got hired by Disney Studios. 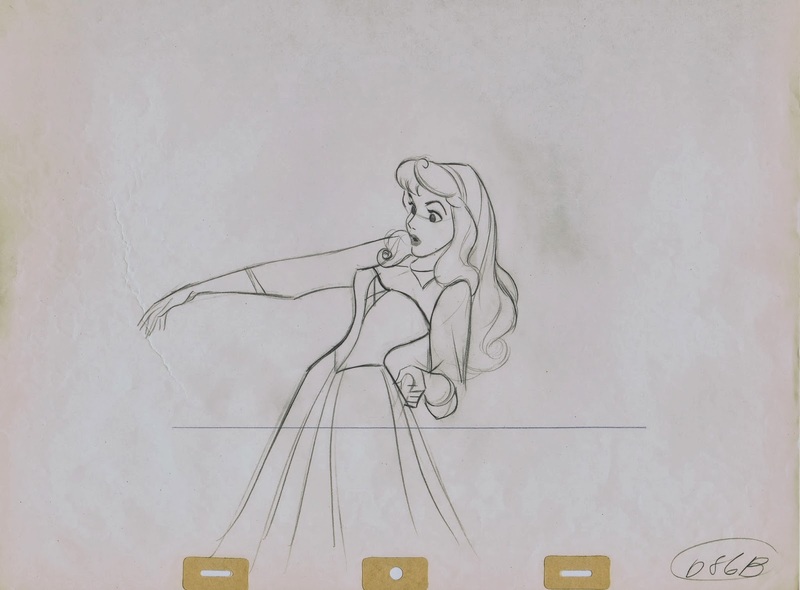 He eventually became Milt Kahl's clean up assistant, and keyed characters like Slue Foot Sue, Brom Bones, the King and Duke from Cinderella and Lady from Lady & the Tramp. 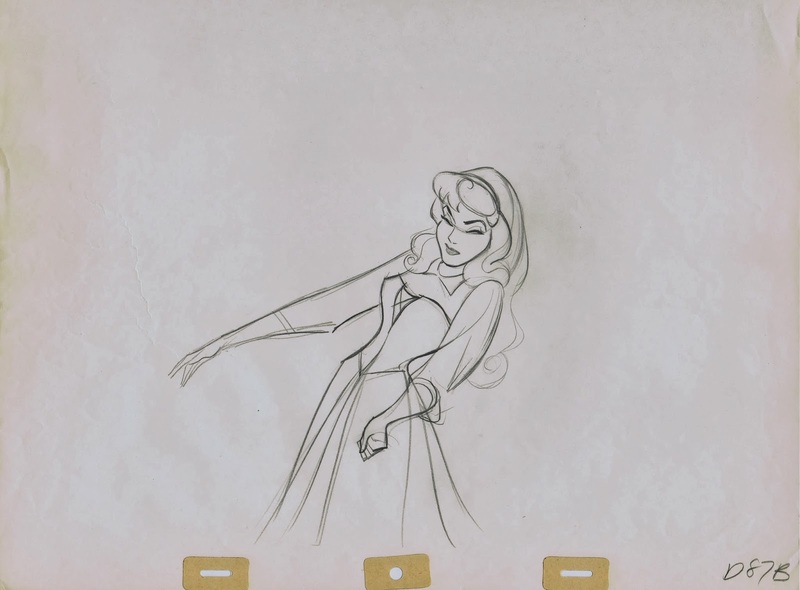 During the production of Sleeping Beauty Iwao worked for Marc Davis on Aurora. 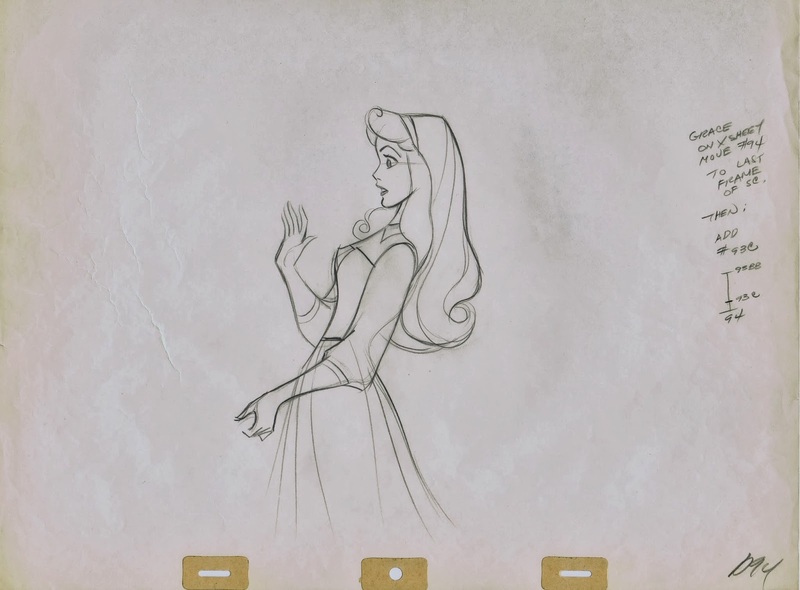 Since Marc initially drew her a bit younger looking, it was up to Iwao to redraw those scenes, so they would be consistent with her final design. 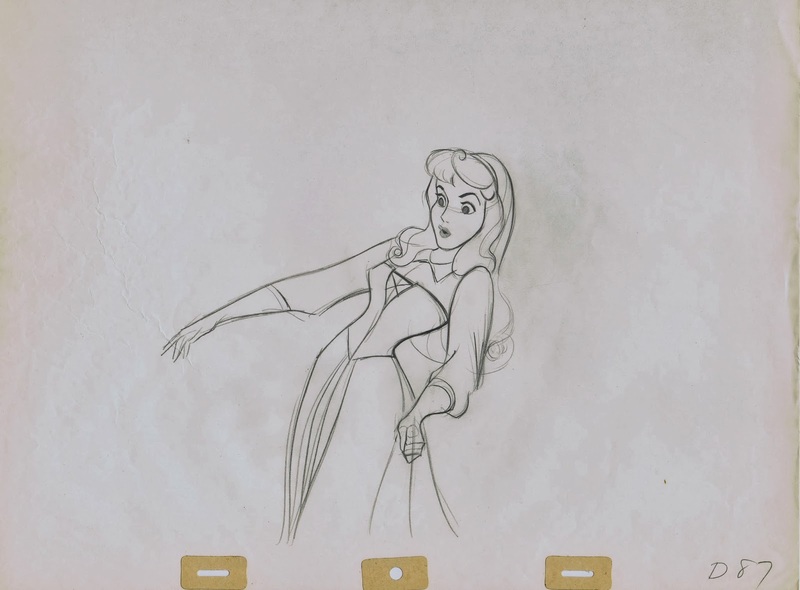 In this scene Aurora is gently pushed out the door by the Three Fairies, who insist that she go into the forest to pick more berries (even though she picked berries only yesterday). 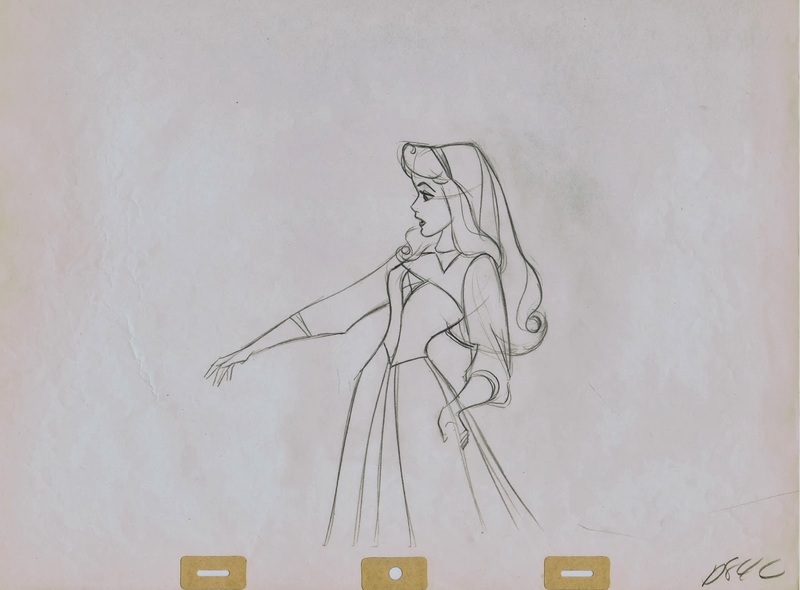 I call these drawings super-designs, and Milt's influence is very evident. This is a man in search of graphic perfection. The way angular lines work against long flowing lines is astonishing. And look at the control he had over that face with all of those subtleties. 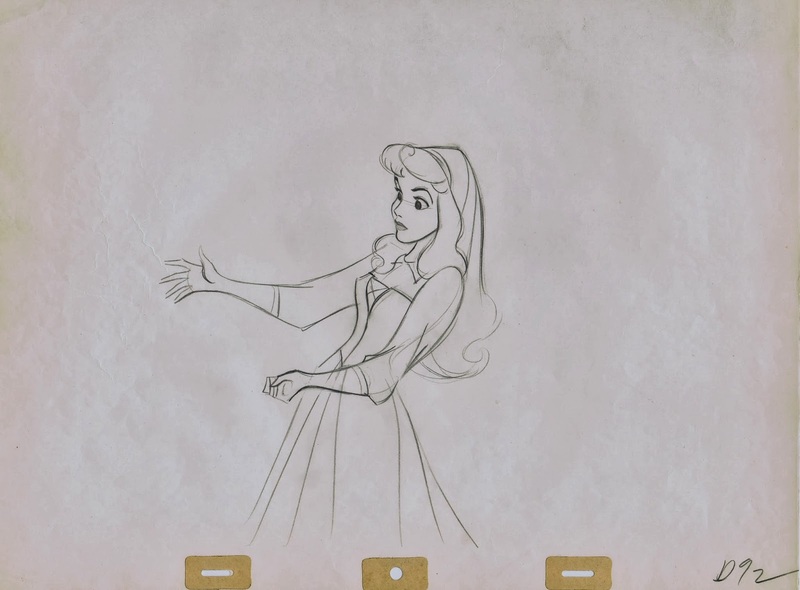 Aurora is holding a basket in her left hand, which would be added by an effects animator. 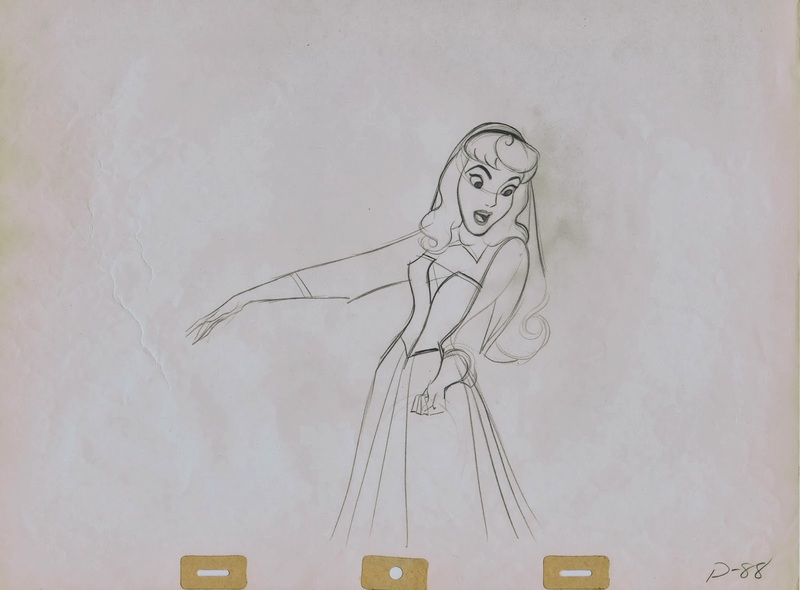 Are we all OK with the idea that this kind of integrity and commitment to drawn feature animation is a thing of the past? I am not.